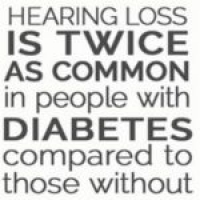 What are the consequences of hearing loss for older adults? Ultimate Kiosk is happy to announce it's partnership with Prism Hearing Solutions earlier this year. Ultimate Kiosk is happy to announce it's new partnership with VandenHoogen & Associates earlier this year. This creates a perception of lower frequencies having a greater impact on the ability to focus on and understand human voice which is most often reported in people with a high frequency hearing change.